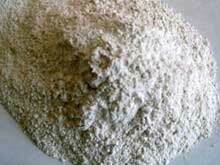 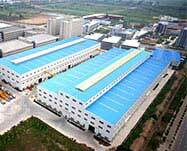 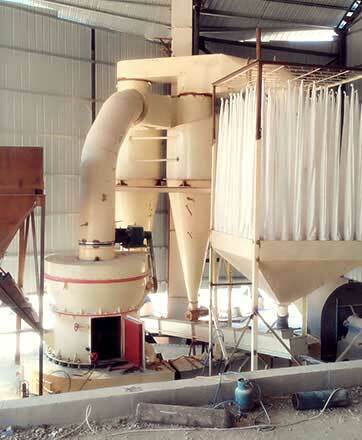 Grinding plant is mainly used in powder making from non metallic materials or other medium-hard materials. 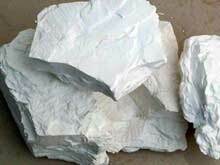 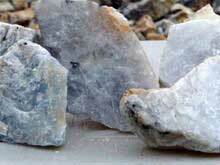 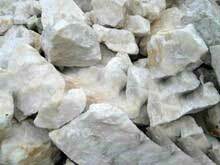 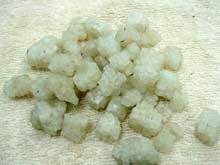 Application: feldspar, calcite, talc, barite, fluorite, rare earth ore, bauxite, manganese, marble, ceramics, phosphate rock, etc. 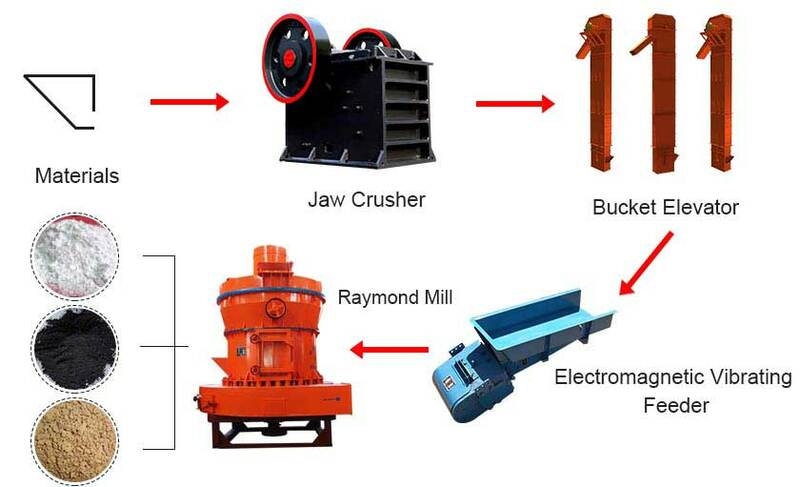 Equipment: Jaw Crusher, high pressure Raymond mill, bucket elevators, electromagnetic vibrating feeder, transmission device, host device. 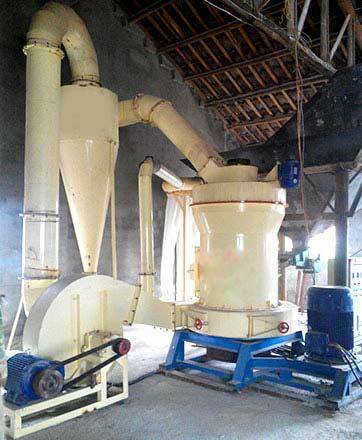 Grinding plant is mainly used in powder making from non metallic materials or other medium-hard materials. 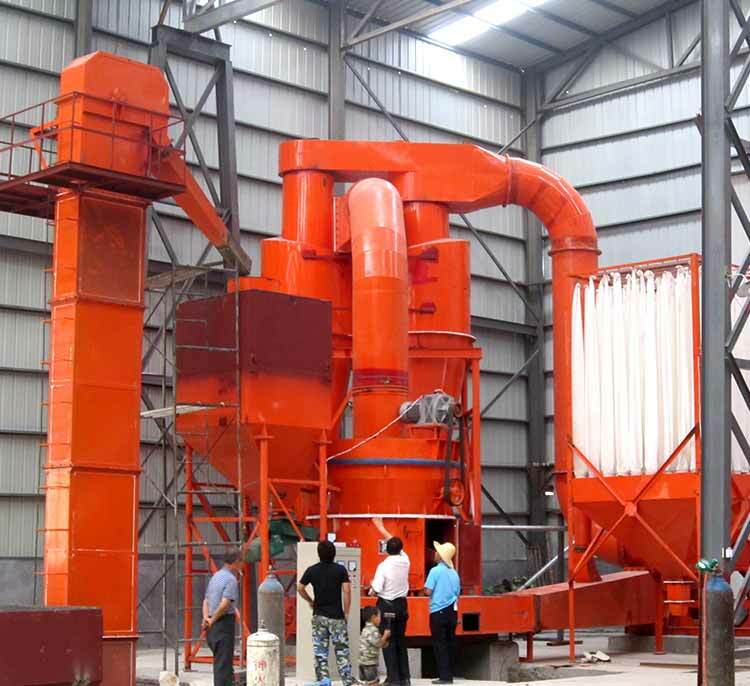 Core equipment of powder grinding line is the Raymond grinder, and the ancillary equipment are plumbing, analyzing machine, crusher, feeder, distribution equipment, and so on. 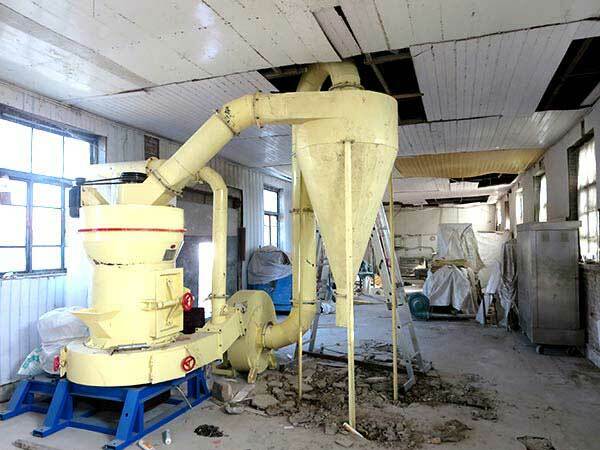 Limestone → impact crusher → vibrating feeder → elevator → bag dust collector→ limestone powder silo → belt conveyors →high pressure Raymond grinding mill → elevator → micro-thin separator →-chain conveyor → bag dust collector → chain conveyor → bag finished product. 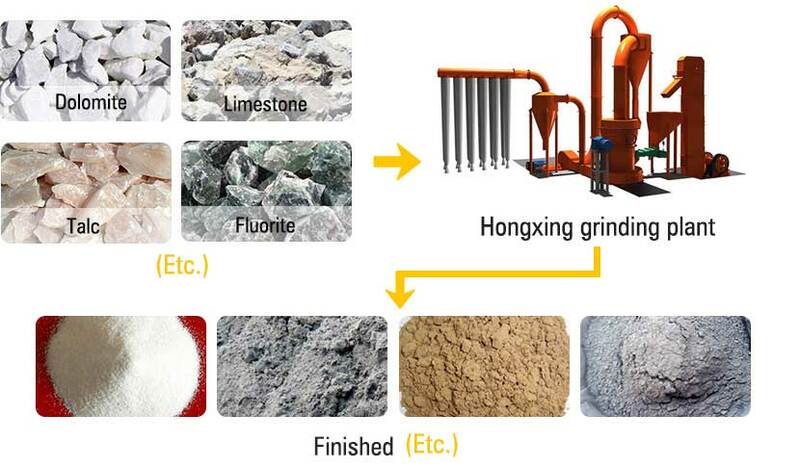 Grinding plant is mainly used for powder making in building materials, chemicals, fertilizer, metallurgy, mining, refractory, ceramics, steel, power, coal and other industries, and the Mohs hardness of raw materials should be below 9, while humidity below 6%, and the fineness of finished product can be adjusted at 30 ~400mesh.